DI Dominic Graham reports we had a number of burglaries in the Downend and neighbouring Fishponds area during September and October. We had a number of burglaries in the Downend and neighbouring Fishponds area during September and October. I’m pleased to be able to tell you that after some dedicated policing work we were able to arrest and charge a man with three burglaries. He has appeared in court and been remanded in custody. South Gloucestershire is a low crime area, but it’s still important for people to take their security seriously. We’ve also had some burglaries where the thieves are searching for gold jewellery. Of course jewellery and watches often have great sentimental value above and beyond their cash value. If you have valuables please lock them away in a safe. Choose one which is accredited ‘Sold Secure’. It’s also a good idea to take a photograph of your jewellery and keep the pictures and a description somewhere safe, just in case. 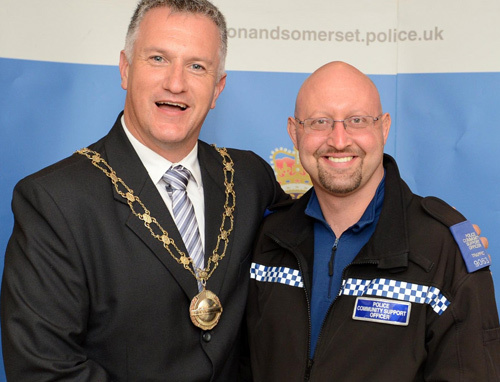 Finally I’d like you all to know that Staple Hill Neighbourhood PCSO Dan Cowley was named as the North East Policing Area’s PCSO of the Year in the Avon and Somerset Community Policing Awards in October. 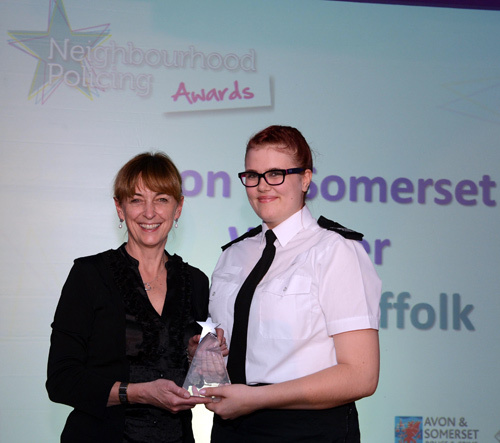 Volunteer Police Cadet Jemima Suffolk, who gives up her own time to work with the neighbourhood teams based at Staple Hill Police Station, was also recognised at the event. She was one of the overall forcewide winners.